Amber is the face of a new Guess product : a new perfume called “Guess Girl“. Here are advertisements and a promotional picture for this new Guess campaign. Amber is so perfect on this new campaign!! I love her promotional pictures, taken by Ellen Von Unwerth, once again!  Check it in the gallery!! You can read below a little article about this new perfume. Guess Girl will go on sale around the world with an advertising campaign featuring actress Amber Heard. 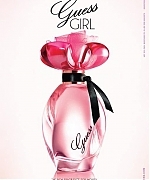 To be released in February 2013, Guess Girl is directly targeted at a female customer in her early twenties and is a fruity, floral concoction produced by Laurent Le Guernec of International Flavours & Fragrances. Fans can expect raspberry nectar, melon and bergamot mist, Brazilian Paradise orchid, Provence acacia flower and lily, Australian sandalwood and Madagascar vanilla. The ad campaign, shot by famed fashion photographer Ellen von Unwerth, features Amber Heard. The actress wears a tight Guess sequin dress and white shirt. “For Guess, we love models who are reminiscent of Hollywood glamour girls like Sophia Loren and Marilyn Monroe,” the head of marketing for Coty Beauty, Steve Mormoris, told WWD. The new scent will reach 20 000 stores around the world when it goes on sale in February next year.